Leonard Norman Cohen, CC GOQ (September 21, 1934 – November 7, 2016) was a Canadian singer, songwriter, poet and novelist. His work explored religion, politics, isolation, sexuality, and personal relationships.Cohen was inducted into both the Canadian Music Hall of Fame and the Canadian Songwriters Hall of Fame as well as the Rock and Roll Hall of Fame. He was a Companion of the Order of Canada, the nation's highest civilian honour. 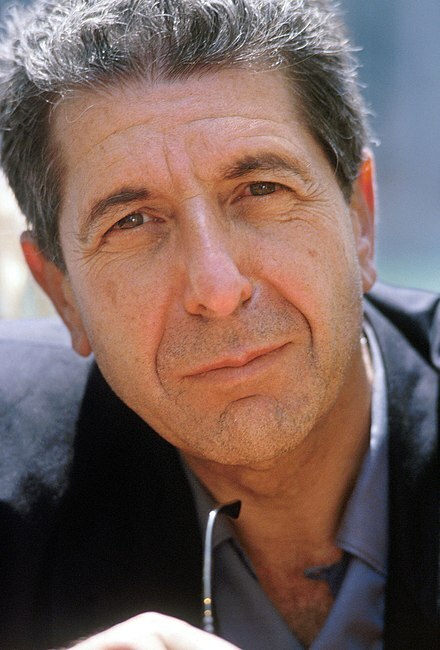 In 2011, Cohen received one of the Prince of Asturias Awards for literature and the ninth Glenn Gould Prize.